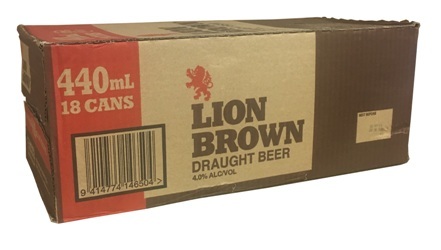 Lion Brown was originally known as Imperial Draught Ale, but earned the moniker ‘The Brown Bomber’ by New Zealand servicemen in the 1940s. Appropriately renamed Lion Brown from 1953 onwards, it was served only on tap from the distinctive, now iconic, barrel shaped stand. A likeness of the stand still features on the side of the can today.